What are the Best WordPress SEO Plugins? If you have an online presence, search engine pptimization (SEO) is a crucial part of your digital marketing strategy. Millions of users every day go online looking for products, services, and information. When they don’t have a specific website address, they use search engines to find it. SEO helps you beat your competition to the top of organic search results. Trust – Users trust search engine results. Reaching the Top 5 – most users doing searches don’t bother with results under the top 5 results of an organic results list. Social Media Shares – People who visit sites they like will share them, extending your reach to new leads. Traffic – search engine rankings provide a continuous supply of new traffic to your website that’s keyword targeted. If you’ve been using WordPress for a while, you may have noticed SEO options within your chosen theme. Many WordPress themes come with in-house SEO settings. If you’ve been using them, be aware. If you rely on your theme SEO entirely, you may lose your SEO settings if you decide to change themes. This loss would require you to start over with new settings. Each of the plugins we’ve included below will let you improve your website’s search engine rankings and keep your settings if you change Themes. Yoast SEO has consistently been the most reliable of SEO plugins for WordPress. Not only will it improve your website’s SEO in every way, but it also takes care of technical optimization as well. It’s equipped with a wide variety of features, making it an all-in-one SEO plugin. Snippet Preview: Shows how your page will appear visually in search results. Page Analysis: Checks meta description existence and length of content. Meta and Link Elements: Determine what pages will be shown by Google. Multi-Site Compatibility: XML Sitemaps work in all setups. Breadcrumbs: Create simple navigation for users and search engines. In recent years, Google has released some algorithmic updates. The updates have led to the development of topic-based rankings instead of keyword only rankings. SEOPressor has taken steps to keep up with these Google updates. SEOPressor is complete SEO plugin that lets you focus on your site’s SEO with excellent results. The plugin delivers an essential understanding of Search Engine Optimization. Note: This plugin is not as user-friendly for SEO beginners and is only available as a Premium plugin (no free version available). Over Optimization Check: Over-stuffing keywords raises red flags at Google and other search engines. This plugin watches over your keyword use and tells you if overuse is a problem. LSI keywords: Determines your LSI usage with their proprietary formula. Keyword SEO Score: Checks the use of your primary keyword. Dynamic Crawler Control: Determines how engine spiders navigate your site. Automatic Smart Linking: Add links and keywords automatically. 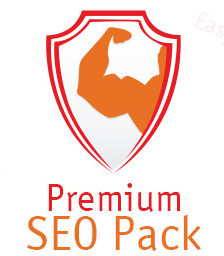 Like SEOPressor, Premium SEO Pack is also a premium plugin. This popular option includes an excellent number of features that make it worth what you’re paying for it. Both on and off page optimization are included in Premium SEO Pack as well as a Video sitemap, search engine reporter and bulk editor for mass optimization. 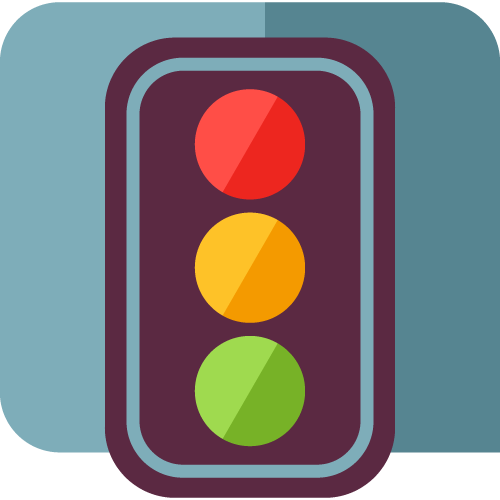 W3C Validator: Tells you to check your markup on pages and posts. SEO Friendly Images: Refreshes all images with applicable ALT and Title Attributes. Page Speed Insights: Examines the page speed of each page and post. Monitor 404: Alerts you to the URLs that are sending visitors to 404 pages. Backlink Builder: Lets you add your site to various website directories. The All in One SEO Pack is especially popular for its ease of use “straight out of the box” that includes advanced features for developers. This plugin is free to use with an option to upgrade to the Pro Version. Note, the All in One SEO Plugin Pack is reported by some to not be as user-friendly for those just learning about SEO. Video Sitemap: Only available with the Pro Version, this feature lets you create and manage a Video Sitemap for submission to search engines. Social Meta: Includes Social Meta Data to your site. txt: Allows more control over how engine spiders travel on your site. Import/Export: Imports and exports your settings. File Editor: Edits robots.txt and .htaccess. Bad Bot Blocker: Keeps harmful versions of engine spiders from slowing your site down. As we’ve already stated, SEO is a crucial part of making your website work as hard as you do. Good SEO reaches your target audience by putting you in the Top 5 results of organic searches. It helps build trust with your new leads and aids in extending your reach by those new leads sharing your information on Social Media. If you’ve spent any time at all researching search engine optimization, you’ve probably figured out there is quite a bit to understand and implement. When working to achieve high-ranking SEO, it can start to feel overwhelming when faced with ever-changing updates. Not to worry though, help is readily available to make the entire process much easier. Quality SEO for your website is possible at relatively low or no cost to get going. WordPress SEO plugins vary to assist every user’s level of knowledge and experience. They let any website owner or blogger accomplish successful SEO with more confidence. Once you have established an online presence using WordPress, implementing a high-quality WordPress SEO plugin is essential. This implementation will help ensure your target audience can find you instead of your competition.